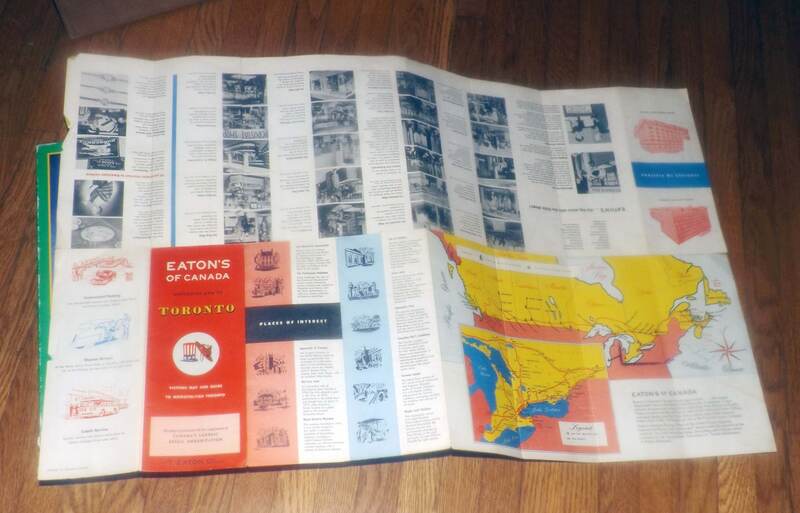 Mid-century (1950s) The T. Eaton Co. | Eatons Welcomes you to Toronto USA Visitor fold-out guide and map booklet. 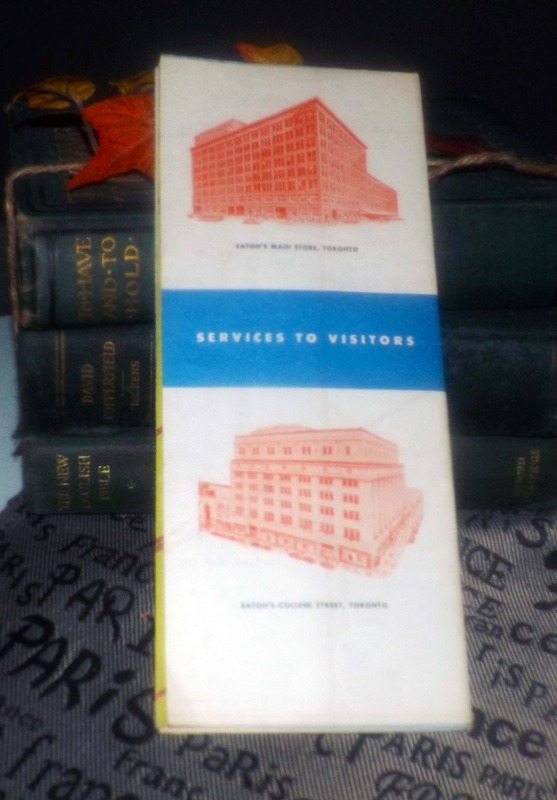 Mid-century (1950s) The T. Eaton Co. | Eatons Welcomes you to Toronto American Visitor fold-out guide and map booklet. RARE! This 4-fold pamphlet is in EXCELLENT! condition with NO! fading of the graphics, photos or text, LITTLE TO NO! foxing or yellowing of the pages and NO! ripped or torn corners. The full-size map is clear and legible with all wording and imagery bright and vivid with NO! fading apparent. Great black-and-white photos of the inside of Eaton's flagship Toronto store in the 1950s. 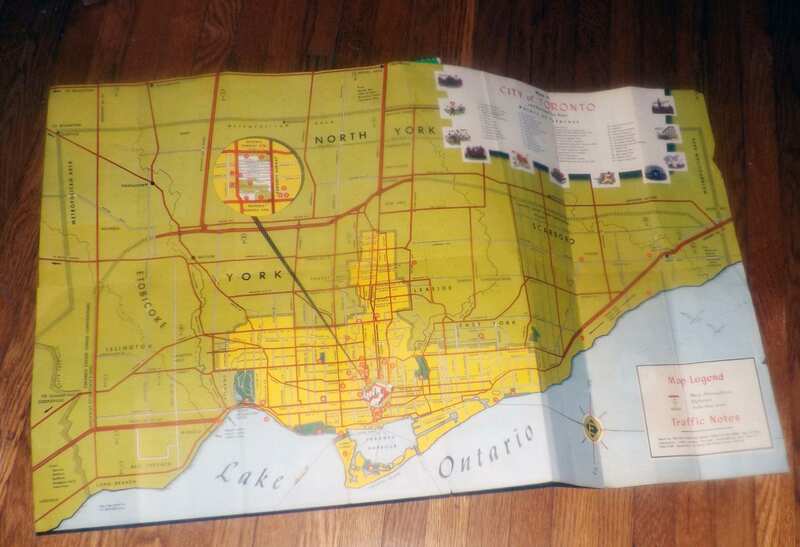 While there is no date supplied on the pamphlet, the map shows that the Highway 401 cut-off beyond Bayview was under construction at the time of printing, dating the map to before 1952 when this bypass was completed. Approximate measurements: when folded the guide is pocket sized measuring 4-1/2" x 9-1/2" | when opened to full size the map measures 29-1/2" x 19". 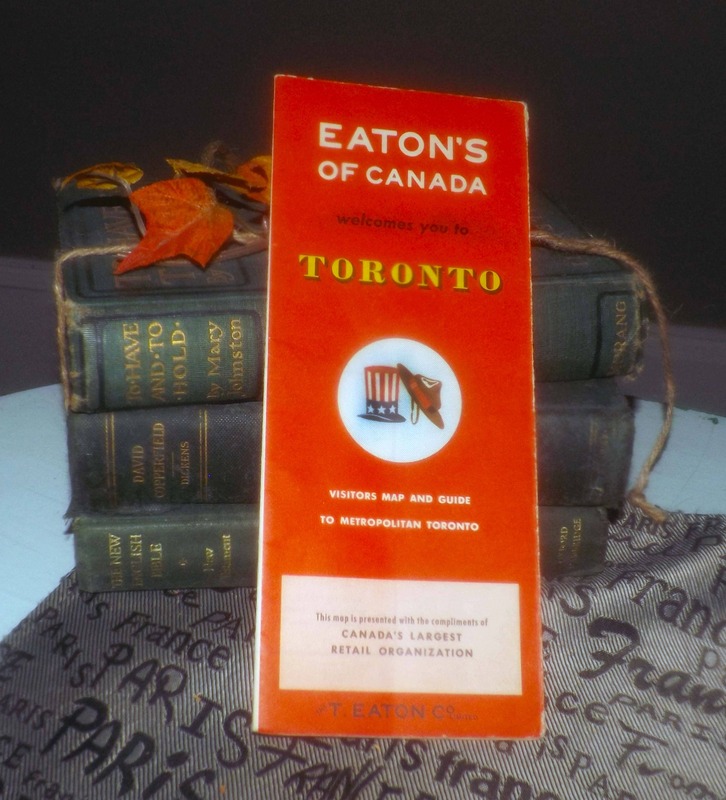 Great bit of Toronto and Eatons memorabilia!